[Amendment I.] Congress shall make no law respecting an establishment of religion, or prohibiting the free exercise thereof; or abridging the freedom of speech or of the press; or the right of the people peaceably to assemble, and to petition the Government for a redress of grievances. The congressman wanted to drill down on the accusation that Facebook selectively let liberal political viewpoints get through their algorithms designed to block hate speech and bullying type posts and but also block conservative slanted articles. .
Who knows how their code is written and what type of firewall configurations they use? The more interesting part of the exchange was “What is the clear definition of hate speech?” Do you know it when you see it and is it actual hate speech? All hate speech and free speech does not fall into the verbal or written bucket. Hate speech can also be an act or symbol such as a burning cross on a yard. It is noteworthy the Supreme Court has sided with the defendants or refused to hear the cases over such hateful acts as Nazi marches and a cross burning on yard. Adolf Hitler’s escalation of the subtle hatred to the blatant gave him time to build his military and economy before waging war with Europe, Eastern Europe, Britain and its commonwealth, Africa and the Soviet Union. From Adolf Hitler’s speech in 1937, given on January 30th, the anniversary of the Nazi takeover of power in 1933, nuried deep within the pages of the text comes this, “.…the failure to recognize the importance of conserving the blood and the race free from inter-mixture and thereby the racial aspect and character which are God’s gift and God’s handiwork. It is not for men to discuss the question of why Providence created different races, but rather to recognize the fact that it punishes those who disregard its work of creation. He was talking about the Jewish communities and culture and also was warning everyone who paid attention that his words would be followed by action. Hitler’s party and propaganda ministry later published a pamphlet with the offensive title, “The Jew as a World Parasite” in 1944 for “educational” purposes. Hate speech in America could be just as vile when referring to races, gender and sexual orientation from groups like the Ku Klux Klan and other organizations. Hate speech can be and often is protected by the First Amendment. Freedom of speech ceases to be protected when it incites violence against people resulting in injury or death. The crossing of the line should be recognized when it initially occurs. Recognizing hate turning into violence several years later as in the case of Germany and the holocaust, or in the case of way the United States treated the Indian Nations in the 1800s can be disastrous for a whole section of society. Issues remain concerning the Trail of Tears episode and President Andrew Jackson’s decision. Many countries have their records that force their citizens to hang their heads in shame when reading the pages of history. The British have theirs, and so do the Russians, Australians and the Japanese. What is important is that leaders and citizens learn from it so the world will be a better place. It’s a constant struggle as we all can see when turning toward the Middle East or more recently when looking back at the breakup of Yugoslavia in the early 1990s. Facebook is confronting tough questions about what is permitted on their social network as well as what they do with their data metrics. Discerning real hate speech from different viewpoints is an issue that must be resolved so bad actors don’t have a platform for recruitment. These are questions that should answers by getting all of the right people in a room. Some people talk or post and then go back to their cave. Some people talk and then they turn it into action. These are the people we all have to guard against and prevent them from carrying out a plan that could maim or kill innocent people. Some citizens of the world during certain decades have to deal with more adversity than others if war breaks out or the economies move into a recession or depression. Wars caused by leadership and diplomacy failures cause a heartache as well as a depletion in a generation’s men and women who could have the answers for curing disease and making the world a better place. Economic depression is caused by a number of factors including the malaise of industry captains and government officials. When these people who are educated by the world’s finest institutions neglect to act by exercising preventative measures society bears the burden. Some decades are better than others but some are more tumultuous than others. It occurred to me the other day that if I had to rank the decades in order according to how much chaos and achievement occurred during that time period, this is list I would compose. To keep the list a short one, I am ranking the decades from the time period of 1900 to 2010. Otherwise, I would have to include the Roman, Greek, Egyptian, Chinese, British, Russian, and Mongol empires and I am sure I am leaving a few out. Reason for Rank: There was so much going on during this decade it’s a wonder that the world didn’t have a collective stroke from the stress endured by the population. The Cold War, The Vietnam War, Nuclear build up and testing, the Middle East tensions, The Iron Curtain, North Korea and South Korea, the election and assassination of John F. Kennedy, the assassination of Robert F. Kennedy, the Assassination of Martin Luther King, the assassination of Malcolm X, civil rights marches, the Freedom Riders in the south, tensions in Europe, South American coups, the Cuban Missile Crisis and Fidel Castro and the list goes on and on. While these historical events were playing out, we managed to put a man on the moon, create some of history’s enduring works of art, literary classics and cinematic masterpieces. Sometimes chaos can bring out the best as well as the worst in human kind. As Orson Welles said in “The Third Man”. Reason for Rank: When an event such as “The Great War” appears in a decade, you have to rank it high. Additionally, the Russian Revolution shocked the world in the decade and it was felt for several decades to come because it influenced foreign policy and caused several wars after World War II. In addition, naval power advanced with aircraft carriers and the further development submarines. The industrial revolution moved forward and the population of cities grew. The Panama Canal was finished in this decade, changing the way products were shipped from one side of the continent to the other. The decisions from this decade, like the Treaty of Versailles, had a negative effect on countries two decades later. Reason for rank: Hitler and the Nazi regime’s rise to power brought on World War II and cruelty that equaled violence and destruction documented during the medieval age. World War II dominated the decade followed by the rebuilding of several major cities. The testing of the nuclear bomb and using it to force Japan’s surrender forever altered the diplomatic landscape. The cold war followed the end of the Second World War. The end of the decade saw tension increase to the point of North Korea invading the South in June of 1950 to start the Korean War, where two countries still remain proxies for a higher stakes game diplomacy between super powers. The formation of the United Nation, headquartered in New York. Reason for rank: Terrorism on a global scale, the war in Afghanistan and Iraq. The Hinting down of Saddam Hussein and Osama Bin Laden. Immigration in North America and Europe. The proliferation of social media. The used of social media and the internet for business models; Amazon, Apple, etc. The use of smart phone for communicating. Reason for rank: The depression, the election of FDR and the New Deal socialist policies. Hitler’s election to Germany’s ruling party, the invasion of Austria, Poland, and other Eastern European countries, the annexation of the Sudetenland and the invasion of France, beginning World War II. Japan’s military build-up, the invasion of Manchuria, the Nanking Massacre and many other aggressions. The Hoover Dam was completed. Reasons for rank: This decade featured President Teddy Roosevelt taking on monopolies and creating labor laws to curb the power of large corporations. Roosevelt, a proponent of taking care of the land and its wildlife in it, oversaw legislation for many natural parks that we enjoy today. Reasons for rank: The decade saw the end of the Vietnam War under the Nixon administration after being escalated by the Johnson power brokers. The Watergate conspiracy played out on America’s television screens. Nixon resigned, President Gerald R. Ford became the first President not be elected. Jimmy Carter was elected. The Russian invasion of Afghanistan start their long stay there. The Shah of Iran was deposed and because of the United State support for the Shah, the Iranian hostage crisis lasted until President Ronald Reagan’s first inauguration day. Reasons for rank: The decade began with silent movies and ended with sound on film, the talkies. It began with unprecedented economic growth and wealth accumulation. The motor car or automobile was having an impact on society and how people socialize with one another. The Hoover Dam was planned as well as other engineering projects. Reasons for rank: Low on the list because there wasn’t that much upheaval compared to other decades. The most significant event was the destruction of Berlin Wall and the fall of communism in the Eastern Bloc countries, opening up the Iron Curtain in front of the Soviet Union whose communist ideology would fall later on. Reason for rank: Some may rank this decade higher due to the dissolution of the Soviet Union in 1991 in addition to the Persian Gulf War after the invasion of Kuwait by Iraqi forces. A significant event but because we had to revisit the Iraq after the turn of the century, this isn’t high on my list. Also, the Soviet Union was on a path to dissolution in the later 1980s, the next decade just made it official. The election of President Bill Clinton also was significant due to his influence in subsequent decades. The dissolving of Yugoslavian states resulted in genocide that had to be dealt with by UN Forces. The ethnic cleansing was an event that should have been prevented and stopped by the United Nations. This was one of the reasons the UN was formed after World War II but it failed in this mission. Once in a while, an entertaining surprise appears in front of you. In this case, a trip to the local library’s book fair was the catalyst where a book rested at the top of a pile and I picked it up. The book was a biography about General George C. Marshall, written and research by Leonard Mosley and published in 1982. I picked it up and bought for a few dollars, along with five others, and felt good about supporting my local library. I did not know at the time that this book would soon become one of my favorite books about military generals. Having read books about General George S. Patton, General Ulysses S. Grant, Dwight D. Eisenhower, Marine General Lewis Burwell “Chesty” Puller, Air Force General Chuck Yeager, General George Washington, General Douglas MacArthur, Napoleon, Alexander, Field Marshal Erwin Rommel, Roman Legion commanders and many more, I don’t know why I hadn’t read anything about Marshall until now. This was a huge oversight, considering the man’s greatness and legacy. After reading the book, I have become an admirer of General Marshall and how he conducted himself during his service to the country as a military officer and for his efforts serving under the Truman Administration as Secretary of State. I am late to the group of Marshall Scholars since it has been 33 years since the book’s release by Hearst Books and several more years since Marshall’s passing on October 16, 1959 at Walter Reed Hospital. Mosely’s other books cover historical figures and topics ranging from Charles Lindbergh, Emperor Hirohito, and Haile Selassie to the Battle of Britain and the DuPont’s of Delaware. Mosley’s book spans the decades of George Catlett Marshall’s birth on December 31, 1880 in Uniontown, Pa., to his final days at Walter Reed Hospital. The first few pages surprise when we learn that growing up in Uniontown Marshall was a slow learner and not the favorite of his father. His family didn’t expect much from him as the first chapter’s title suggests, “A Disgrace to the Family?” Never expecting to see the word “Disgrace” in a book about General Marshall, I was hooked. What we learn soon after a few more pages is that something lit a fire in the young George Marshall—and that “someone” was sibling rivalry. His brother, Stuart, graduated from the Virginia Military Institute (VMI) but didn’t enter the military. When his brother found out that George wanted to attend VMI, he tried to persuade his parents into preventing George from getting an education there because he thought the slow-learning George would fail. 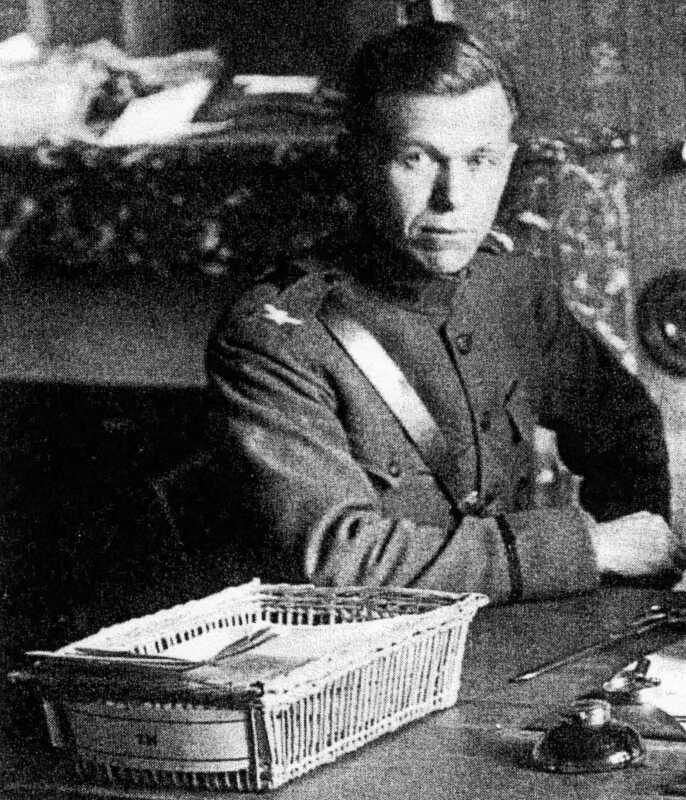 We learn that sixteen year old George Marshall did attend VMI and excelled and succeeded well beyond everyone’s expectations while also meeting his future wife there who lived near the institution. We find out in later chapters that he was a disciple of General Black Jack Pershing and that he was more than brilliant during all of his assignments after getting his Army officer’s appointment. The author gives us an idea of what made Marshall tick, how he dealt with people and how he honed his leadership skills. He was a no-nonsense leader and didn’t like dealing with politicians or being political. It seems from the book that George Marshall had a way with dealing with subordinates and superiors that impressed everyone. This trait brought him promotions, although slow due to the small Army budget and size before World War I and after, and important assignments. He had few enemies if any but one important one seemed to have it out for him—General Douglas MacArthur. The book does something after the final chapter that I don’t see often in research notations at the end of books. He takes the time to compare his sources and write a couple of paragraphs about where he got his material for each chapter and why certain sources were used over others. An interesting part of the book. His material comes from more than 40 hours of tapes Marshall recorded near the end of his life and from books written by his official biographer Forrest C, Pogue, documents from the George C. Marshall Research Foundation, the Military History Institute and other resources from the author’s work on other books. This book is certainly well worth the read. It lets us in on how he found all of those talented generals that served him so well during World War II as well as criticizing Marshall where he sent out ambiguous orders or failed to see the political and cultural implications in China and the Far East after World War II. Marshall had many successes too such as his World War II leadership, The Marshall Plan, The Berlin Airlift, and in many other areas that will surprise us, especially during the Great Depression years. You just never know what literary gems you will find at your local library book fair. The USS Orleck Naval Museum docked at Lake Charles, LA. 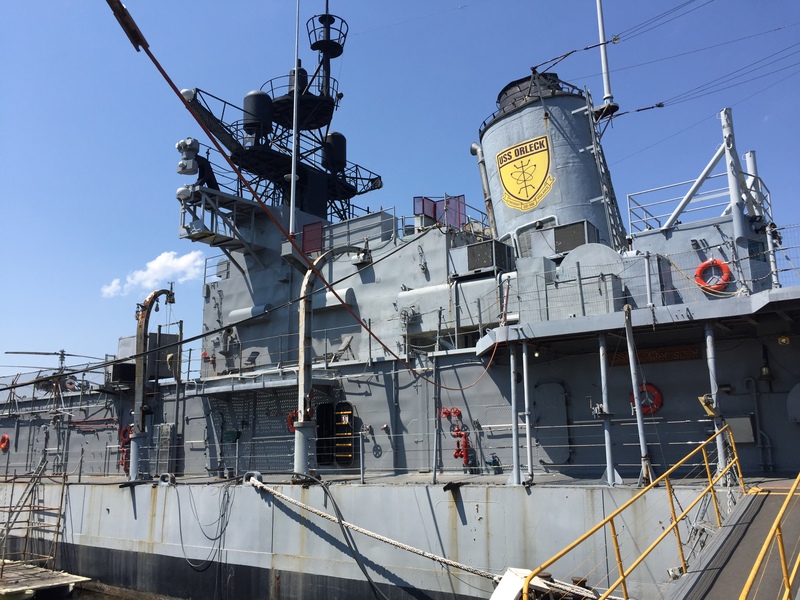 When a Navy ship stops serving the United States in defense of the nation, the next step can be the scrap metal yard, sold to another country or in the case of 164 other ships, become an interesting, floating museum. 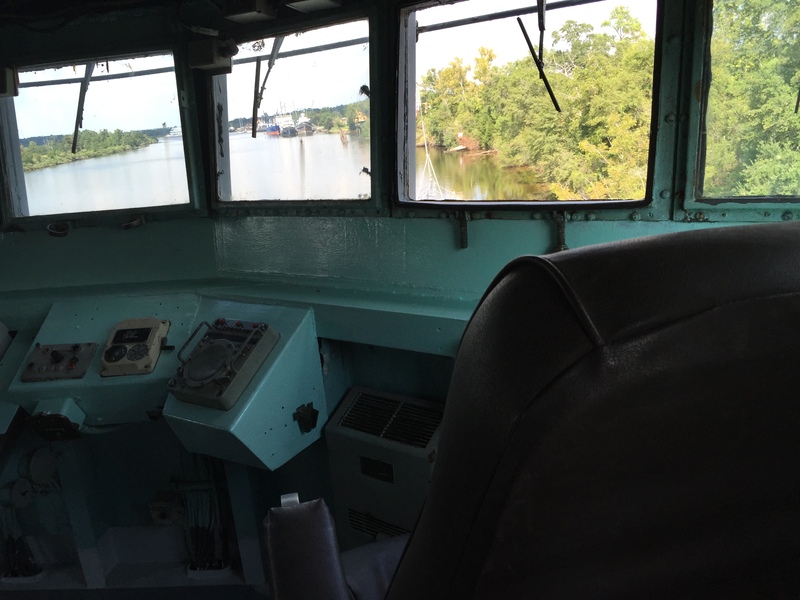 A view from the bridge of the USS Orleck. 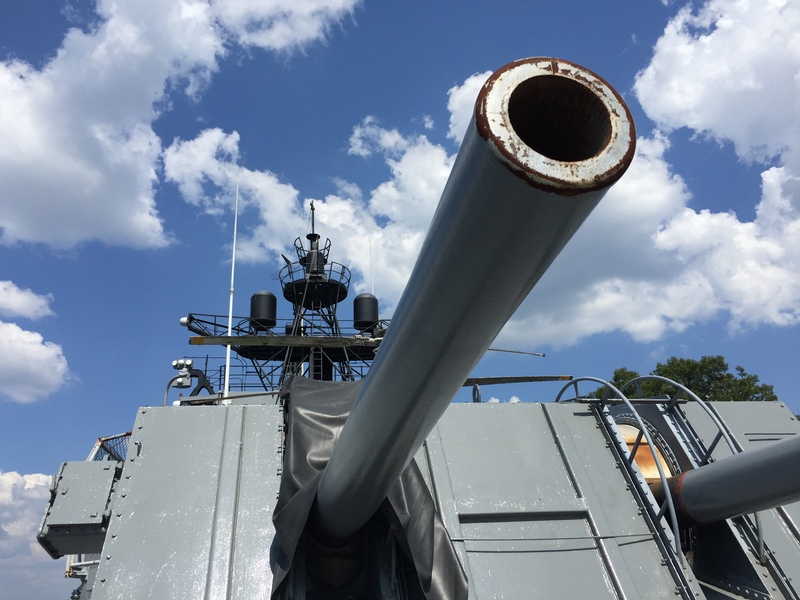 The US Naval Ships Association states there are 164 Naval Museums throughout the United States. There are many more throughout the world from other countries. 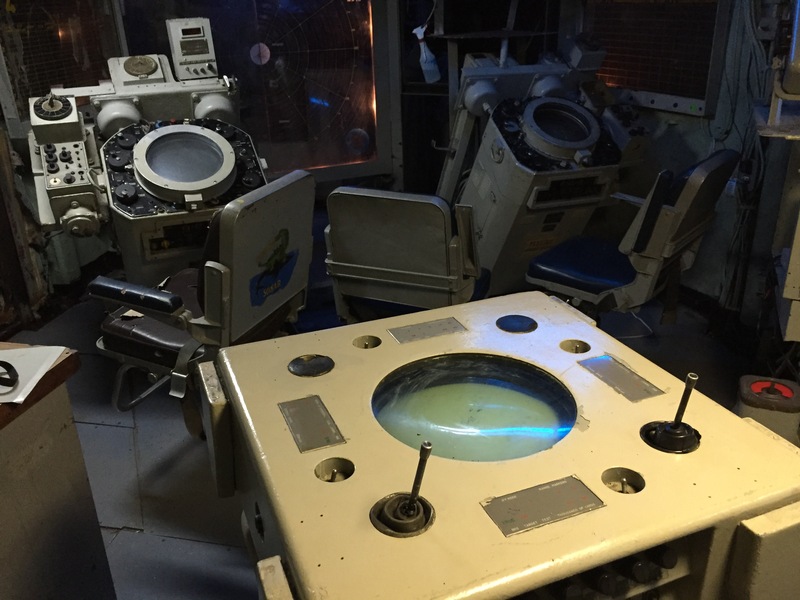 The site below gives a synopsis of the museum ships travelers can find while touring. The USS Orleck is just one of those ships. However, the journey from the initial launch to where it floats today at a dock in Lake Charles, La., is an interesting story that involves two wars, another country, a hurricane and a few determined individuals. She was named after Lt. Joseph Orleck, commander of the USS Nauset, and a World War II hero killed in action in the Gulf of Salerno when his ship took fire from German aircraft September 9, 1943. 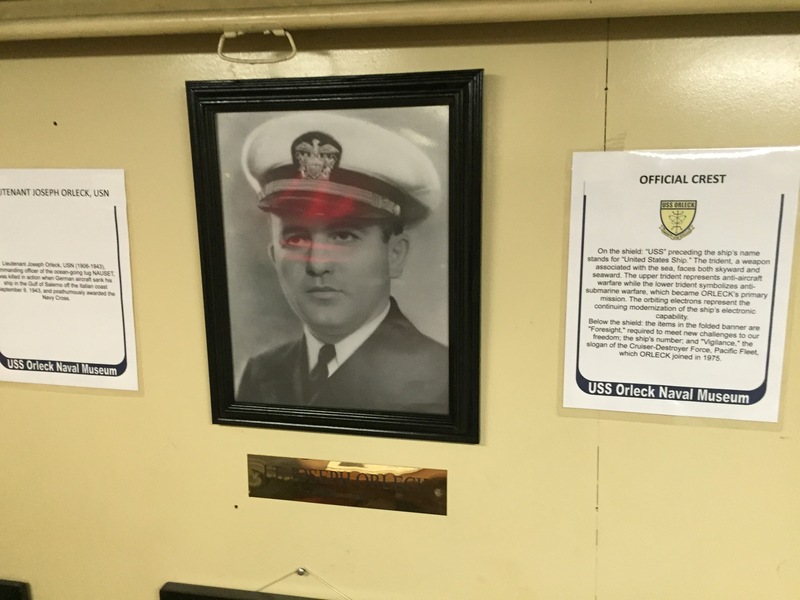 Lt. Orleck died while trying to save all of his crew as the ship went down. He was awarded the Navy Cross. The Gearing Class destroyer was launched on May 12, 1945 by Mrs. Joseph Orleck. 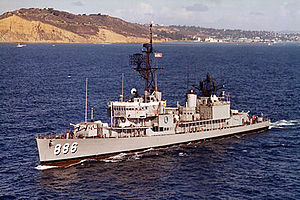 She served in the Korean War and then underwent an upgrade as part of what the Navy called the Fleet Rehabilitation and Modernization program in 1962. After that she served with distinction in the Vietnam War by providing Naval gunfire support missions as well as search and rescue and reconnaissance efforts. From there in 1982, the history gets interesting as she was transferred to the Turkish Navy and renamed the TCN Yucetepe where she served the Turkish Navy until 2000. 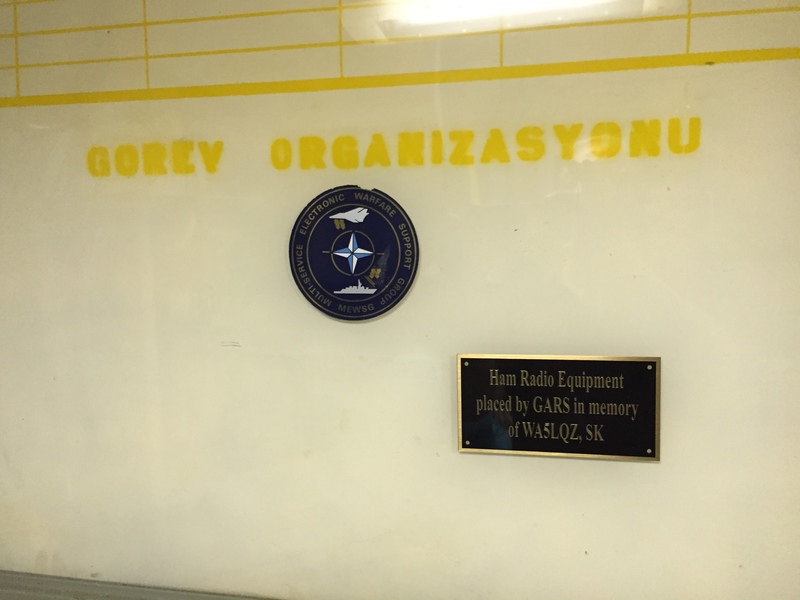 Turkish labels still dot the ship from her days in that country’s Navy. In 2000, the Turkish Navy transferred the ship to the Southeast Texas War Memorial and Heritage Foundation where she was a Naval Museum to serve as a museum and memorial and it might stayed there at Ochiltree-Inman Park on the Southeast Texas coast but for Hurricane Rita in 2005. The hurricane damaged her during the storm and after receiving repairs the City of Orange voted to not let her return. After several years docked and relocated from one place to another, the Lake Charles City Council voted to let her dock on their shores and on May 20, 2010, she was moved to the city where she rests today. The big guns are at the ready but are rendered inactive as part of an agreement with the government. 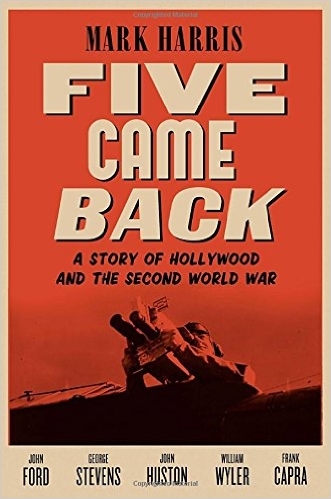 If you watch the Turner Classic Movies Channel and study history, then “Five Came Back: A Story of Hollywood and the Second World War” will fascinate you. The book covers the exploits of five Hollywood heavyweights who hung up their tinsel town regalia to put on a uniform and shoot the combat footage that we see today on the History channel and other documentaries. The title refers to five powerful Hollywood people who could have stayed in their comfortable California surroundings but went to war overseas, survived the experience, and came back alive to produce more classic films. It covers John Ford, George Stevens, John Huston, William Wyler and Frank Capra. These five were responsible for some of Hollywood’s classics. Movies that film historians consider the finest the industry has produced and film school students today analyze shot by shot. These are also classic stories film buffs see each day when movie channels air them at all hour into the early morning. Here is the short list of the five’s accomplishments. The book tells the story of five movie professionals and how the war changed them. Once they joined the military, they trained their film teams, coordinated their missions and made sure the public was able to see their productions. These five went on dangerous missions in the air as well as on the ground to capture shots that would tell the story of how the allies won the war and what it cost in lives. They were a key part in keeping morale high on the home front by telling loved ones what their service men and women were doing overseas. The book also covers the politics involved with creating a documentary and field photo unit with civilians turned officers leading the groups. At the beginning, some government officials were in favor of commissioning these five future officers to be charged with documenting the war while others thought it wasn’t the best idea. The important people, like General George C. Marshal, were proponents of the program. The book reads slowly at times when Harris outlines the administrative maze that the documentary group had to navigate when confronted with Washington personalities and egos. Once you get past that, the author does a wonderful job of describing how Hollywood directors handle the military life and protocols. The action really begins when Harris describes the harrowing and dangerous missions some of them witnessed while viewing combat through a lens. John Ford’s unit shot footage of the Battle of the Midway while John Huston and William Wyler went on bombing runs with the Army Air Corps. William Wyler lost hearing in one ear and partially in another from the concussion flak noise while trying to get some aerial combat footage. George Stevens had the unfortunate task of shooting horrific scenes of the liberated Nazi concentration camps. He also produced a film shown as evidence of the atrocities at the Nuremberg Trials to the war criminals and witnesses in the gallery. Stevens was the last to come back and thus through a film lens saw up close the inhumanity people are capable of to other human beings. This experience forever changed George Stevens as the book covers in detail. “Five Came Back” is an entertaining and informative read, especially if you like history. More importantly, it points out how the Hollywood elite of that era stood up and did their part when asked by the government to contribute. In the interest of full disclosure, I have to admit this book is my first authored by Stephen E. Ambrose. After finishing it in less time than it took veterans travelling from the United States to Italy by boat in 1944, I will read more written by Ambrose, who also wrote “Band of Brothers”, “Undaunted Courage”, “Eisenhower: Soldier and President”, and many others. The Wild Blue, with the subtitle, “The Men and Boys Who Flew The B-24s Over Germany”, is well researched and an entertaining read. It is not a thorough examination of air power used in World War II. It, however, depicts the stages several individuals passed through to get ready, travel to a foreign country, and fly combat missions and hopefully arrive safely back home. The book zeroes in on one particular B-24 unit, the pilots and crews of the 741st Squadron, 455th Bomb Group, and one crew in particular that flew missions from Italy into Central Europe at the end of the war. As Ambrose’s story unfolds chapter after chapter, the reader understands the commitment and courage bomber crews exhibited during the last days of World War II. Ambrose died in 2002 and with this book, published in 2001, he left us with the story about another significant American, 1972 Democratic Presidential Candidate and Senator from South Dakota, George McGovern, who died in 2012, and the his fellow servicemen. Before George McGovern worked as an author, history professor, US Representative, Senator from South Dakota and Presidential Candidate, he was a trained pilot. By all accounts from the book, he was an excellent, composed pilot, respected and admired by his crew. Ambrose’s description of McGovern’s training and the dangers involved just to make it through the training is riveting. His account of how his fellow crew members came to sign up for the Army Air Forces and how they worked their way through training to graduation is enlightening. Some potential pilots washed out while some didn’t make it back. The book takes you through McGovern’s and his crew’s missions during World War II while describing his leadership style. The account of how he earned his Distinguished Flying Cross is particularly captivating. 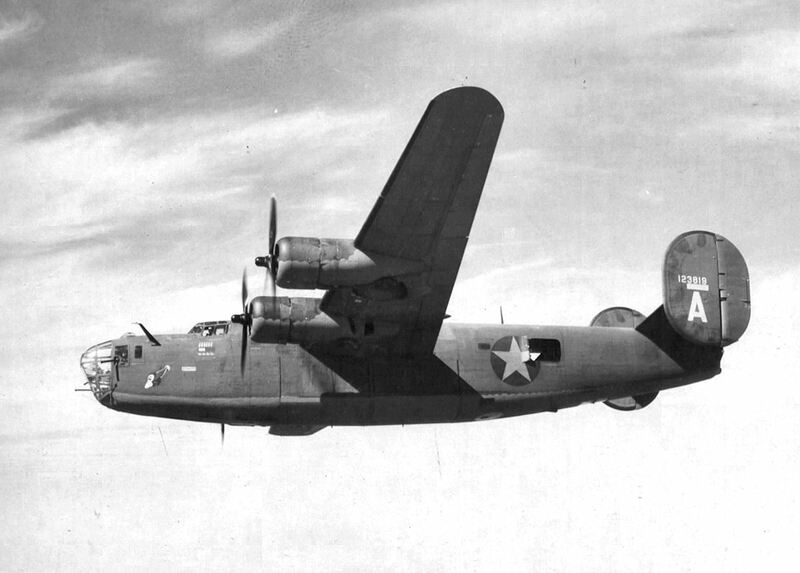 The book is thorough but short enough to satisfy the reader who wants to know about the B-24 Liberator bombers and the story of George McGovern’s experience during the war. I’m giving away my age here, but I was 12 years old when the 1972 Presidential Election was decided by the voting majority. I didn’t know much about either candidate back then. Today, I know more about former President Richard Nixon. I understand that McGovern was against the Vietnam War as early as 1962. As a World War II bomber pilot, McGovern understood the cost of war and in reading this you develop more insight into his thinking during those turbulent days in the 1960s.